Regardless of whether you’re engaging in work-related study to expand your professional qualifications, working your way through university with a part-time job, or receiving Austudy, you will most likely need to lodge an income tax return at the end of the financial year. 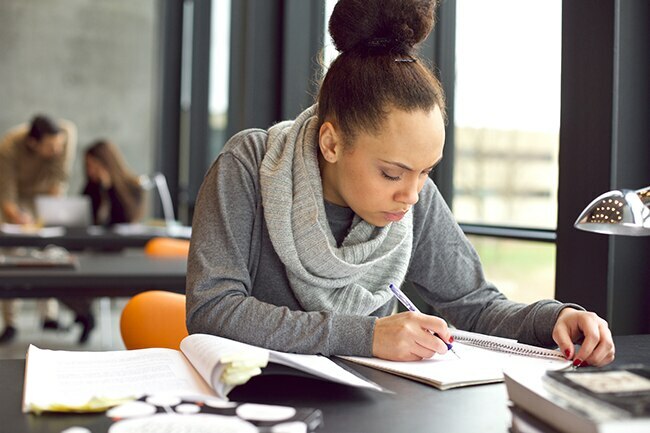 Your reasons for studying and the type of income you receive while studying will affect how much tax you pay and the type of deductions you’re eligible for. Here’s all you need to know. If you’re working while studying, your employer will deduct the relevant tax from your income and pay it to the Australian Taxation Office (ATO) in Pay-As-You-Go (PAYG) instalments. That means that if, at the end of the year, your total taxable income is less than $18,200, then the tax held by your employer is usually paid back to you as a tax refund. You may be eligible for deductions that are deemed to be work-related, and some self-education and personal expenses. The cumulative total of your deductions will reduce your assessable income, and therefore the amount of tax you pay, so knowing what you can and can’t claim is important. Let’s break it down. In some cases, the ATO won’t let you claim the first $250 of an expense, depending on the category it falls into. For help calculating your claim, use the self-education expenses calculator. Expenses that are personal and unrelated to your work or study, such as donations or the cost of hiring a tax professional to help you manage you return, are also deductible. You’ll also need to show receipts for all the expenses you plan to claim a deduction for, provided they are over $300. Depending on your situation, managing your own taxes when you’re studying can be complex. While it’s possible to lodge the return yourself, it’s always advisable to seek help from a professional tax agent.